These are my Weasley sleeves so far. One more set of increases and it’s all straight sailing from then on. 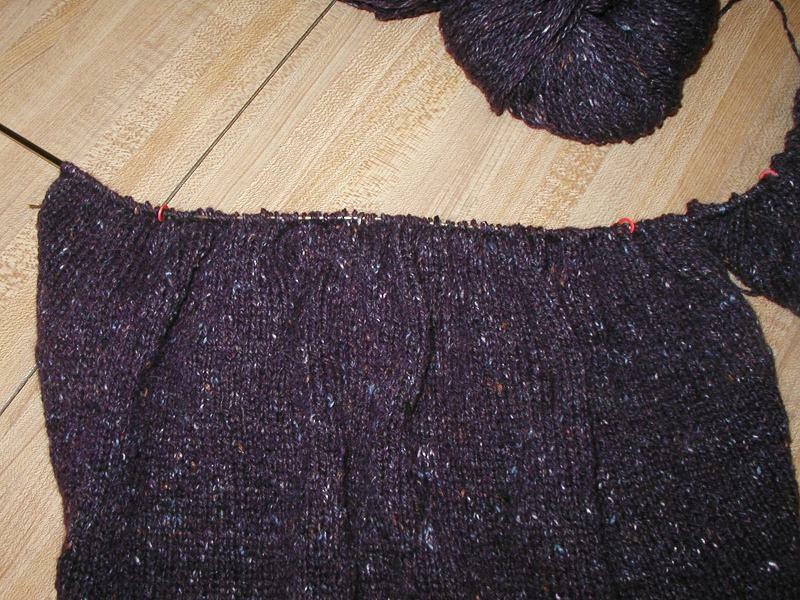 Since I departed from the pattern when it came to which end of the sleeves to start from, I figured I could change the increases as well and thus did more of them just after the ribbing to make an overall fuller sleeve, similar to the Rowan pattern. I’m wondering now if they’re too wide but I’d rather that than have them too small. The best idea I had while working on these was putting the stitch markers at each end before the bulk of the increases started. This way I don’t have to count all the stitches on both sleeves to see if I’ve missed an increase along the way; I just have to count the stitches on the outside of the markers. Cool beans. I’m thinking I really need to pin the front and back together before I get too much farther so I’ll have a better idea of how long the sleeves need to be. 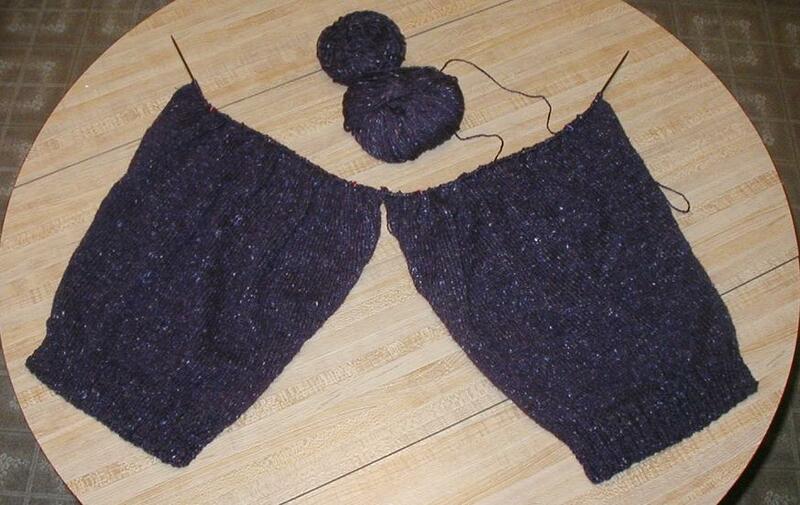 If I can just avoid making orangutan arms like my first sweater, I’ll feel such a sense of accomplishment. Near the end of the family reunion last weekend, after the sun had gone down and the air conditioning wasn’t having to work so hard to keep the living room cool, I pulled the sleeves out to work on while we stragglers who were still there talked some more. One of the younger cousins was still up and watched me carefully before declaring that it didn’t look like I was doing anything at all, just moving my hands around. I tried to explain, but he wasn’t buying it. It didn’t look like a sweater to him, either–where was the neck, for one thing? Hah.